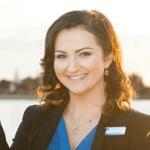 Terri Whiteside is a Property Manager and Business Development Manager in the South West at Rental Management Australia. Rental Management Australia offer a high level of service, giving attention to detail, having excellent communication and a good quality service to both their landlords and their tenants. Terri, is a part of the successful team with vast experience, knowledge and great enthusiasm for real-estate and more importantly the community and its people. A vacant property is a costly process for any owner. A benefit of employing an agent to manage your investment property is the advertising advantage an agent holds which can greatly assist in leasing your investment property in a timely fashion. At Rental Management Australia, we take pride in providing a detailed and accurate description of the properties features, and our qualified staff ensures professional grade photographs are taken. We load this information to over 12 websites including the top 3 real estate websites in Australia; realestate.com.au, reiwa.com.au and domain.com.au. We recognise the convenience to prospective tenants of online viewing times and application forms. Therefore, we encourage and accept 1FORM’s online applications and display all viewing dates and times on the internet! Our power tool, Inspect Real Estate, captures the progress of the marketing and leasing of your investment property. We can show you the number of viewings we have conducted, along with the number of prospective tenants who attended each viewing. Similarly, we also track the number of people waiting to see the property as well as any cancellations or prospective tenants who are unable to accommodate the viewing time which has been set. This information is important to us, as we are able to follow up with these interested parties to ensure your investment property is tenanted as soon as possible.